Certification represents manufacturer's commitment to quality systems. KENT Systems’ continued quest for operational excellence reached another milestone, as the Colorado-based designer and manufacturer of plastic fluid-management components achieved ISO 13485 certification. The ISO 13485 standard represents a manufacturer’s commitment to quality systems, and was developed to support manufacturers of medical devices. It’s the most up-to-date international standard for Quality Management Systems. KENT Systems will use the latest certification in concert with the recent addition of ISO 9001:2015 to ensure its Quality Management systems continue to improve and remain on the industry’s leading edge. The ISO 13485 standard was developed to guarantee that quality systems ensure consistency for manufacturers of medical devices. Controls include risk management and design controls, traceability and documentation and validation for sterile devices. KENT Systems is dedicated to designing, manufacturing and distributing quality Quick Couplings, Tube Fittings, Medical Luers, and Media Bags to provide a complete system for fluid transfer needs. Founded in 2001 and owned by Lyle and Linda Sampson, KENT Systems believes in helping customers get more from their fluid systems while keeping all production in the USA, manufacturing in its Class 7 Cleanroom right in the heart of Loveland, Colorado. 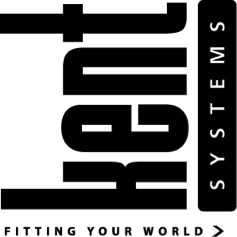 With the advanced knowledge, passion and experience going into designing its products, KENT Systems promises an excellent product and outstanding customer service.